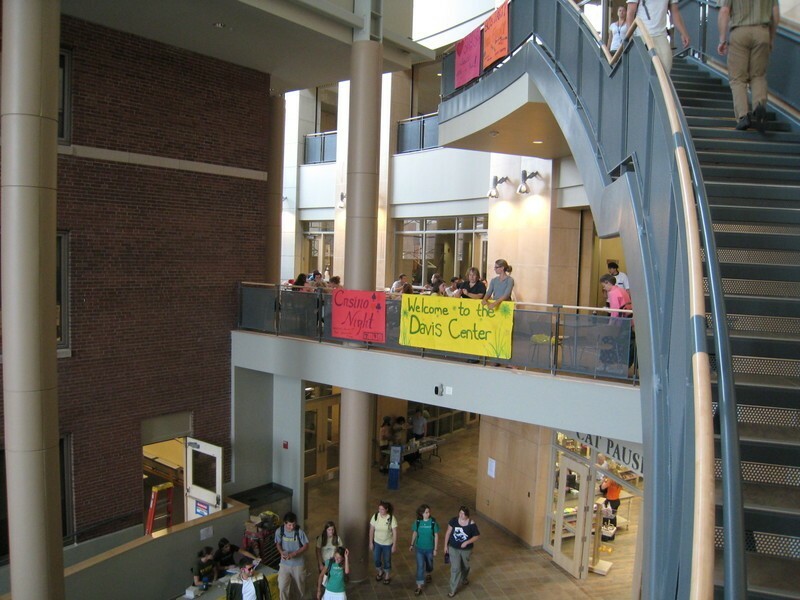 I had occasion to visit the Davis Student Center, UVM's newest building. Everyone in town is aware of this edifice, both for it's monumental size and because it sits right on Main Street, not 30 yards off Burlington's central traffic artery. I'm here to report - 'tis glorious, indeed! The heart of the structure is a three-floored atrium infused with natural light. I have no idea just how many different functions this building is designed to serve, but, the day I visited, it was teeming with happy students visiting the bookstore, the dining area and just hanging around in the various and welcoming, well, hanging-out areas. 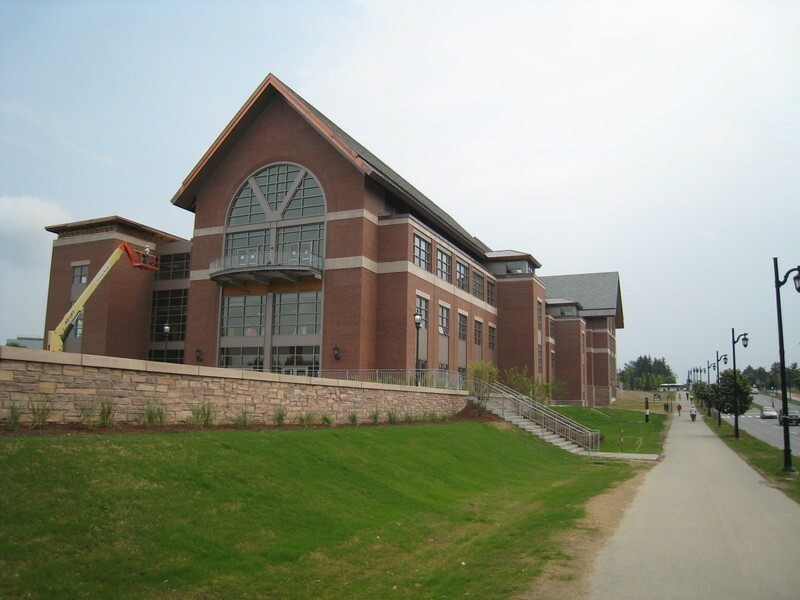 As I made my way to the new offices of the school newspaper, The Vermont Cynic, I thought about this new building and the others that have arisen of late. All of this campus growth and activity, it occurred to me, is a testament to the vibrant leadership of Dan Fogel, UVM's 25th college president, who took the reins in 2002 after a dismaying series of ineffective leaders. 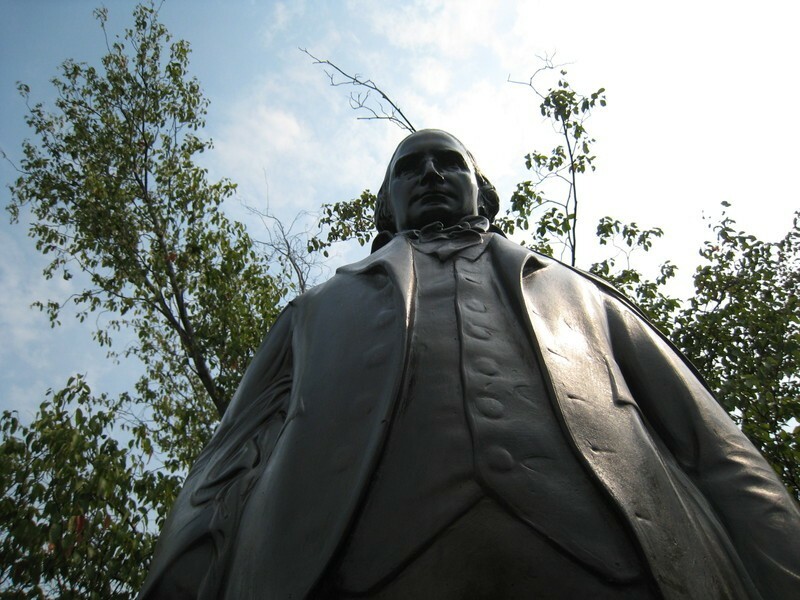 The position of college president, particularly at a state school such as UVM, has got to be one of the most challenging leadership posts in all of the public and private sectors. Like a corporate CEO, a college president carries the ultimate responsibility for the entire organization. But unlike a corporate boss, the college leader doesn't have all the power. 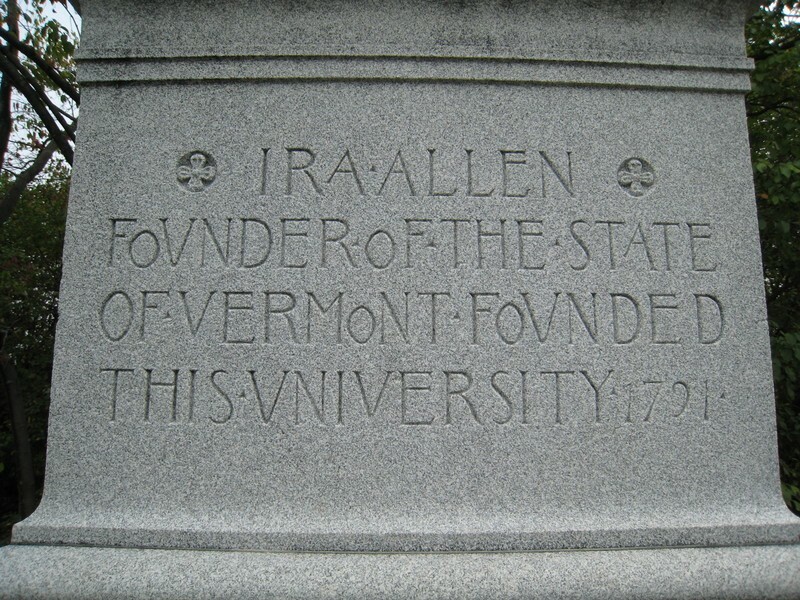 Institutionally, the structure of a public college diffuses power among various interest groups: the tenured faculty, the students and alumni, the town and state legislative bodies, etc. Therefore, perhaps more so than other organizational leaders, a college president has to rely largely on his or her charisma, the ability to inspire the various competing factions to unite behind a common vision and row in the same direction. This is something President Fogel has done to near universal acclaim. 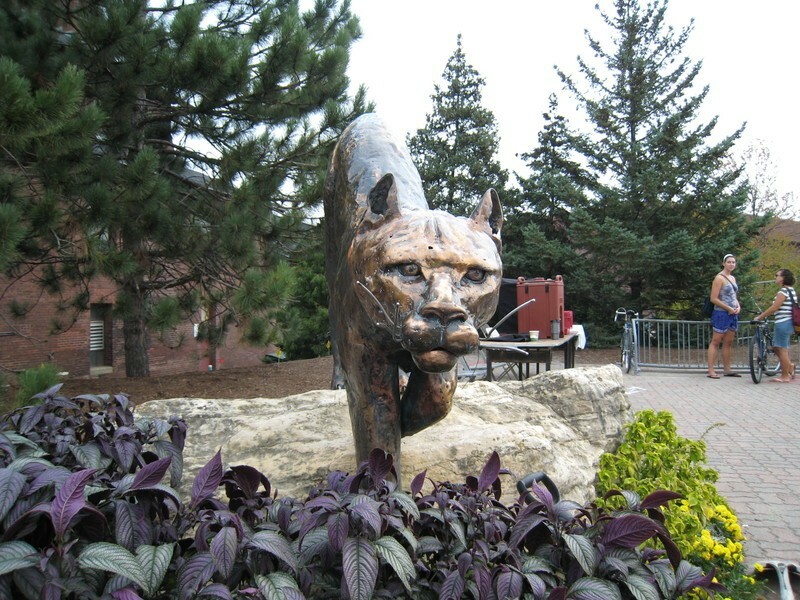 Since the commencement of his tenure, enrollment is up, new programs are blooming, alumni donations have swelled the college endowment - heck, even the Catamount sports teams are winning! So, there I am, thinking about El Presidente as I mosey through the Davis Center, and - God strike me down if I'm lying - President Fogel appears at the door of the Cynic office, the college Chief Financial Officer in tow. Somewhat starstruck, I introduce myself, and he shakes my hand saying, "It's a pleasure to meet you. I'm Daniel." (I love that - "I'm Daniel.") He then introduces the CFO, but, for the life of me, I can't recall his name. We then converse a little about the campus and all the new developments and activity. Speaking with the guy, he oozes gravitas, but, at the same time, you get the feeling that there is no one he'd rather be talking with than you; with every word you experience his full attention. Man, this dude has presence! Then together - that is, hello, just me and the President and the CFO - we walk into the newspaper office. You can tell it's newly opened - hardly even furniture or shelves, papers laying around everywhere. Fogel says to the startled staff, "Hey, that first issue this year was terrific, maybe the best ever." All around the room, the kids are lighting up. He then gets into a detailed discussion about one particular article. Leaving the office, I glance back and can just feel the boosted energy level: I had just been witness to President Fogel in action, casually infusing another small part of UVM life with a sense of purpose and accomplishment. I pull out my handy camera and ask for a picture. Fogel goes, "How about in front of one of the posters?" (In an adjacent space, there was a poster sale going on.) "Sure," says I. 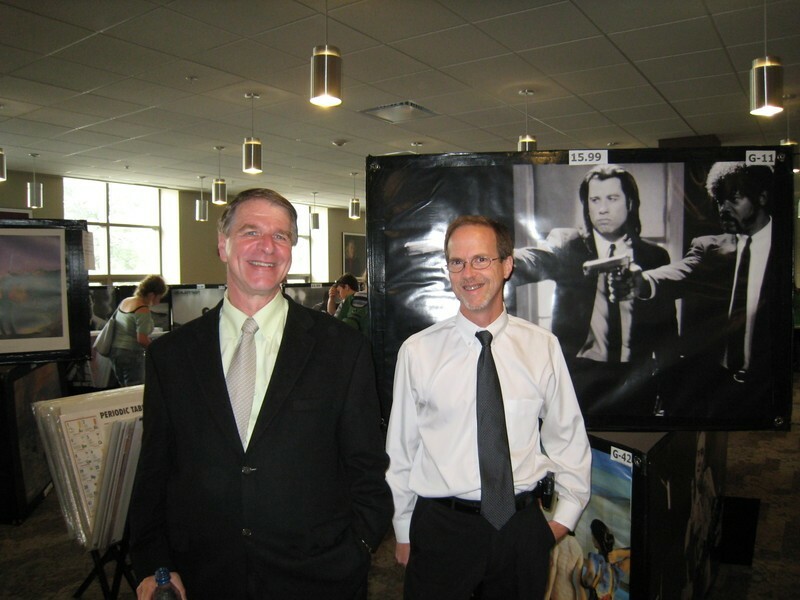 We walk over and he says, "Why not in front of the Pulp Fiction poster? We could stand there pointing make-believe guns." It was the famous shot of Samuel Jackson and Travolta, guns drawn, scowling like emissaries from hell. The CFO says, "Do you think this is a good idea? The two of us pointing guns?" The guy is being a spoilsport, but - give him his due - he is the wingman, looking out for the boss and the image of the school. I interject, "Well, just stand there, but don't mime the gun pointing. It'll be fine." My, those catamounts were fearsome creatures!